This is a guide to show you how to apply designs to branches and the different options available to you. Once you have selected your design, this will automatically be applied to your branch. 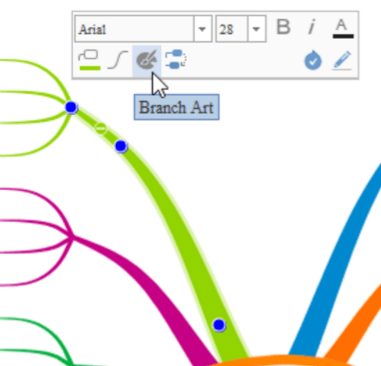 You can also apply Branch Art to all branches at the same time by navigating to the Home tab in the main toolbar and clicking 'Select', 'Select All' or 'CTRL + A' on your keyboard. 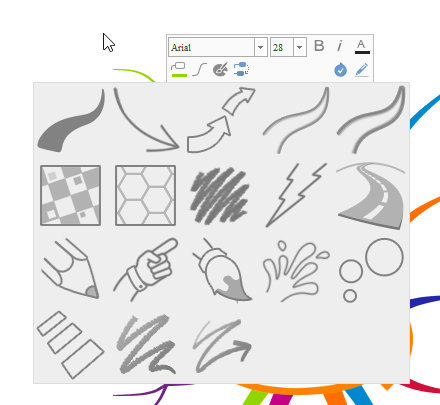 After that simply right click and pick a Branch Art design. 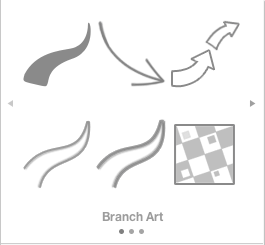 Branch Art allows you to change the look of your Branches completely. 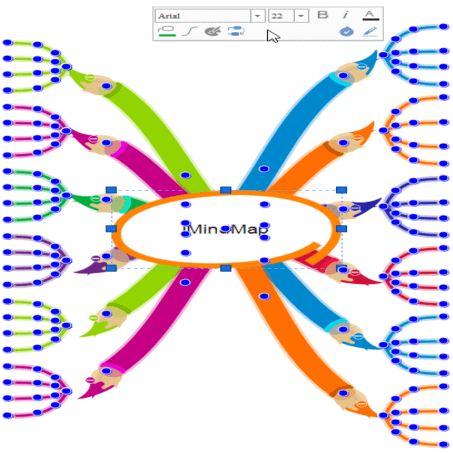 Branch Art can really make your Mind Map stand out! 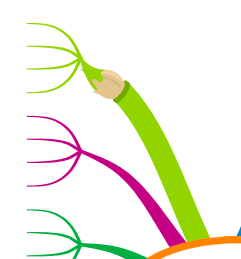 Select a Branch you wish to add branch art to.